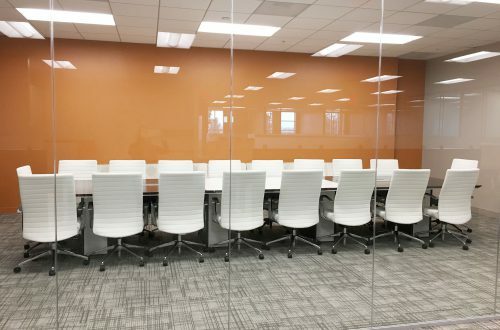 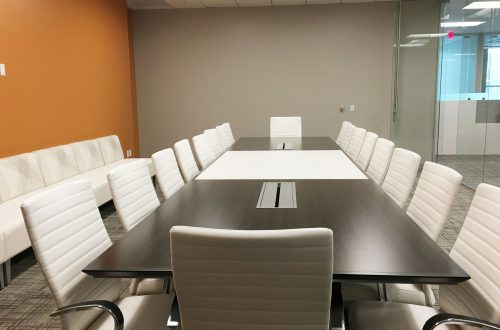 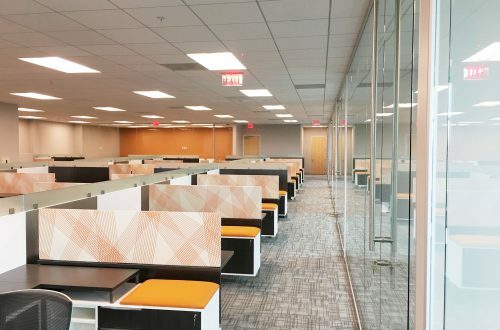 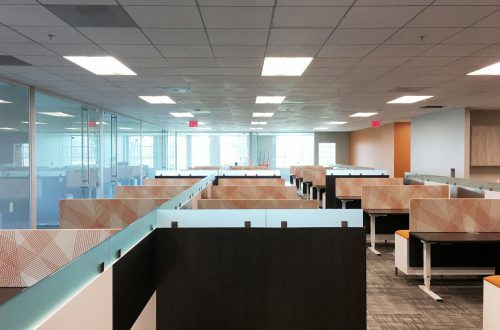 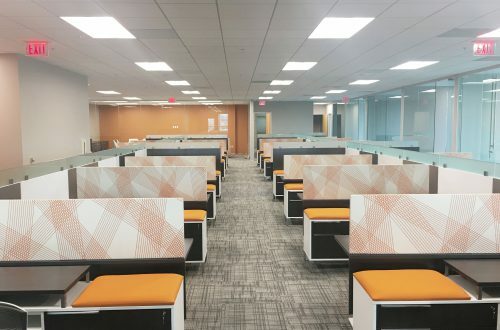 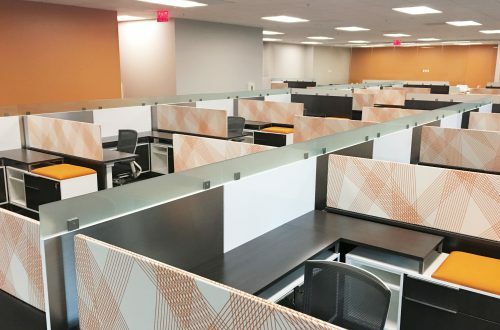 A fast-growing entertainment consulting company needed a stylish new space to match their soaring growth and streamlined workplace practices. 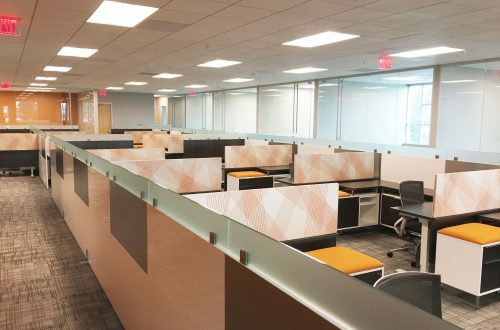 TeamWorx and Hover stations provided the opportunity to collaborate while DeskMakers’ magnetic panels and whiteboards supplied a functional way to organize their daily tasks. 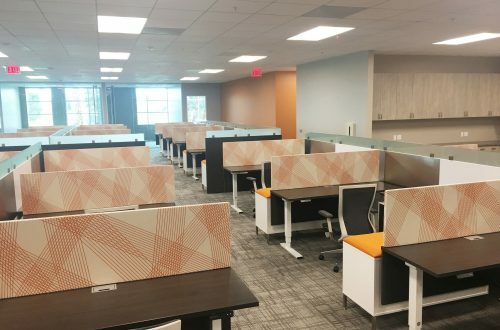 The company also needed plenty of storage because of their clean desk policy and DeskMakers’ matching storage units provided the space to keep desks tidy. 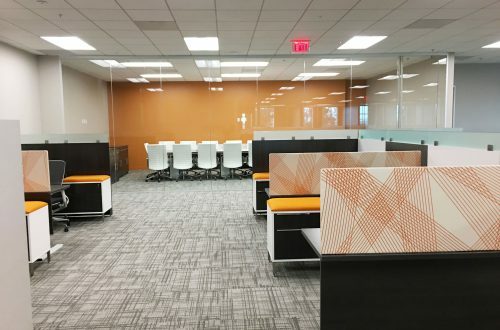 The new office is now a bright, colorful, functional version of its smaller predecessor.